This is every trader’s dream since the beginning of markets but it is not an easy task. Ask over ninety percent of the retail traders that lose their first deposit when trying their chances on the currency market. What was the reason they lost? Probably no one will give you the right answer: failing to understand how markets function and, more importantly, failing at understanding their own trading psychology. The right mindset plays a crucial role in beating the market. Beating the currency market, though, is probably twice as hard as any other financial market available to trade in the 21st century. Some of the reasons are: the complexity of it, the huge volume and the sophisticated market players active on this market to name a few. Yet, some retail traders do succeed. On this five trillion dollars a day market, some professional retail traders make it month in, month out. By a professional retail trader, we mean someone who is not working for an institution or private entity, but acting on his/her own. In plain English: trading for a living. Trading for a living is something many strive for, but only a few succeed. The idea of being your own boss, having your own money to invest and speculate with, making your own schedule, etc., is very appealing to everyone. However, a close look at what it takes to beat this market (something you HAVE to do when trading for a living), reveals some interesting facts. First, this is not a piece of cake, with market quotes not part of a video game. Successful trading involves real money, real players, and no one has mercy if you’ll make it or not. In the end- it is a zero-sum game! Sometimes the stop-loss gets hit so hard and fast that not even the broker (which runs sophisticated algos to execute trades) can react fast enough to avoid slippage. And yet, this is the trading environment we face. Second, even if you find a profitable strategy on paper trading or trading a demo account, it doesn’t mean you will make money in a live trading environment. In this article, I will try to address the psychological pitfalls a trader faces from the moment he/she opens a trade in the currency market to the very end of closing it. 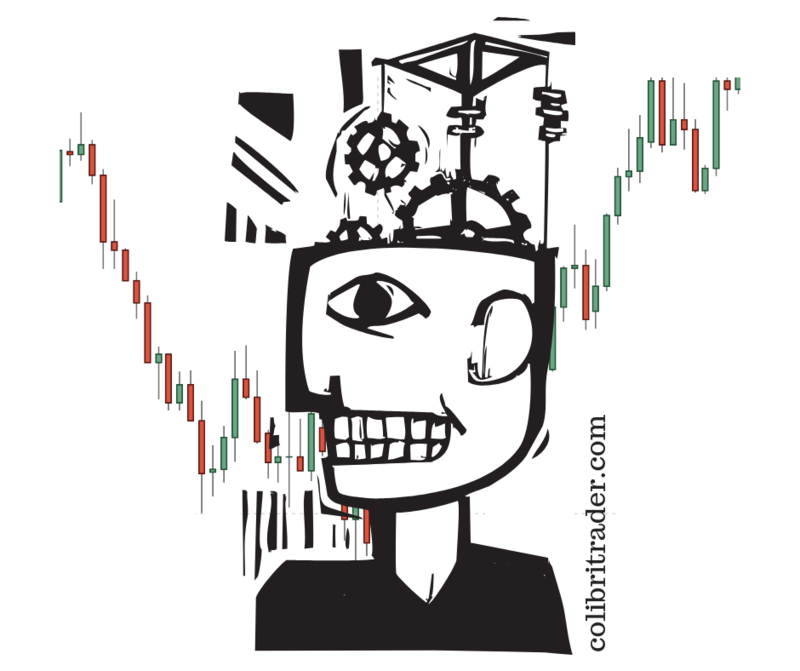 Trading psychology is not only about mastering your mind and having the right mindset, but also about understanding the market, its players and vulnerabilities, and being able to act on your own convictions. Sometimes you have to be a contrarian to survive the FX market. Despite the market going in one direction and staying there for some time, you try to be contrarian. of a market. Everyone is on the other side of the trade, but then again, almost everyone loses money in this market. Important: Hence, the odds of being right aren’t with the crowd. Talking about the crowd, everyone wants to be out of it. However, from the moment one mentions the notion of a “crowd” in trading, the assumption is that he/she isn’t part of it. Which, by itself, is a dead end to the “out of the crowd thinking”. In any case, let’s have a look at some of the things to focus on to beat the market. Not to beat it every time, but enough times, so to make a profit and, why not, to live from it. Expect the Unexpected – What If You’re Wrong? Only judging by the name of this paragraph, one might assume this is a losing approach. But again, we’re here to prove that the general thinking isn’t the one leading to success in trading the financial markets. Any books you’ll find on the subject of “going to a battle”, will tell you that you must think positive, have a winning attitude, and you’ll be alright. Well, in trading the FX market, that just isn’t enough. The market will slap you in the face the first chance it has with such a force that many retail traders won’t ever recover. When money is at stake, people make stupid mistakes (i.e., throwing good money after bad and waiting for the market to reverse) that otherwise, they won’t even think of doing. The next thing is they lose their hard worked money and won’t even know why. So instead of being cocky, be humble. Always question yourself if you’re wrong about a trade, as this brings out the best of you as a trader. You’ll become proactive, take precautionary measures and ask yourself twice before making a decision. We can’t stress this hard enough. Capital preservation is key to beating the market. Naturally, every trader reading this post will say that they all focus on capital preservation. Well, I beg to differ. Having the right trading psychology implies focusing on the losses, not on the winnings. Ask yourself this one little thing: when you open a trade, what do you focus more on – the winning or the losing part of it. Or, on the potential loss or profit? I’ll answer that question right here and now and you’ll understand where the general flaw lies. Almost everyone thinks of how much he/she will make, not how much they will lose. And do you know why is that? It comes from the trading psychology, the right mindset, the reason why you read this article in the first place! From the moment the trader deposits funds in the account, he/she has a bias. I mean, even the Forex broker tells you that you, the trader, should not risk money you cannot afford to lose. So, in a way, it is in your mindset that the money in that account is, eventually, bound to disappear in someone else’s pockets. Beware: traders ignore or underestimate the importance of losing, and overestimate the winning part of trading. Capital preservation means to focus on the losses. The right mindset leading to understanding trading psychology focuses on making sure losses do not mount on. And, in time, they become a smaller and smaller part of the trading account. Avoiding losses leads to only one outcome I can think of (and you’ll agree with me here): winning. Therefore, focusing on capital preservation means to focus on how not to lose, and only after on how to win. I’ll share with you a little secret of mine; something that I followed for over six-month. Desperate to find out what the right trading psychology is, I did the opposite for six-month or so when I was starting my trading journey. The plan was to analyse the market using the same way as I always did and then when it was time to make a decision to take the opposite trade. Instead of buying, I sold. And, instead of selling, I bought. What do you think the outcome was? I’ll challenge you here to do the same thing on a demo account, if not for the same period, for just a few weeks. It’ll give you unprecedented insights into what trading psychology is about and how this curious thing called market functions. This refers to accepting that trading implies losses. There’s no holy grail in currency trading, at least not in a perennial formula that always makes money. If there was a holy grail, everyone would have been a millionaire. Embracing losses and accepting they are part of the game is one step in the right direction. So what if I lose from time to time? What if I am in a losing streak? As long as I know that my strategy and approach already considered this possibility, there’s nothing wrong with it. After a storm, a rainbow appears, after night, a new day comes, and so it is with trading too. Until you embrace losses and are aware that they do happen and are part of the trading world, no matter what else you do, you won’t make money trading. Part of trading success is to know your enemy. Who’s on the other side of your trade? If you think there is another person than just you and me, think again. Numbers don’t lie, and the retail trading size of the daily currency market turnover is just a little over five percent and fluctuating. Armed with this info, who is most likely to take the other side of the trade? What entities drive the price action on the currency market? To understand trading psychology, one of the crucial steps is to understand what drives the market. It all starts with central banks. Like it or not, central banks do trade. They have trading departments, people implementing the monetary policy decisions. For instance, the Fed announced in the aftermath of the 2008 financial crisis that it would start buying U.S. government bonds in a program dubbed quantitative easing. The market reaction was instant- moving aggressively. However, someone actually implemented the program. Some trading department did buy the bonds after that day, influencing the daily flows in the FX market. What I’m trying to say is that the announcement is one thing, and the execution is another. And then there are central banks that actively intervene in the currency market. Take the SNB (Swiss National Bank) in Switzerland. It is no secret it regularly intervenes, trying to control the value of the CHF (Swiss Franc). On top of that, the SNB is a private entity, thus striving to make a profit, just like any other market player out there. If central banks aren’t enough, add to the cocktail the commercial banks with their trading departments too (i.e., treasury departments), institutional investors, quant firms and even brokerage houses. All of them have the same interest as the retail trader, but the difference is that the volume traded is far bigger and the resources these entities have far outpace the ones that are at the retail traders’ disposal. Therefore, as a trader, you’re not against your neighbour trader, but against giants capable of moving the market. Understand how they think and act, and you’re one step ahead of the game. A trading plan always helps. If anything, it helps for having the right mindset before trading the markets. A plan has the tremendous advantage of relieving the trader from the emotional roller-coaster that the currency market brings. If you know what to expect, very little can take you by surprise. Now that a plan exists, the next thing is to execute it. This is where most traders fail, as things like the proverbial fear and greed affect us all. By the time a trade moves into profit, the temptation is to book it as soon as possible. After all, we should take what the market gives us, right? We should take what the market gives under the conditions established by the plan we have. If you are in for a risk-reward ratio of 1:2, you’d better stay for double the reward or all your work planning the trading activity is useless. In the end, trading psychology is more about understanding who you are and what you can bring to the trading game. It seems incredible, but people have difficulties in following their own trading plans. Master that, and you’ll be one step away from mastering financial markets trading. This is a great way to build the right mindset and leave emotions at the front door. Typically traders risk one percent or maximum two percent from the equity of a trading account on each trade. This is a brilliant way to manage the risk, which removes emotions almost completely. After all, what can go wrong? And so until my equity curve finally grows…hopefully. This is what trading for a living is about, and the best way to master the game is to properly manage your expectations both when it comes to losses and wins. Perhaps the most difficult thing to do is to avoid the consensus. Or, to stand out of the crowd. But how do you define consensus? Some metrics do exist. However, it is irrelevant, as we’re about to point out. Everyone has heard of the COT report. The acronym stands for Commitment of Traders, and it reveals the extreme exposure of either the long or short side on any given currency. Many traders follow this metric and position in the opposite direction. In this way, they believe they avoid the crowd. If anything we’ve discussed in this article makes sense, then the COT report refers only to the retail size of the business. Or, to those five percent of the traders, so it is entirely irrelevant to the actual market positioning. Having discounted metrics like that, the only way to do it is to look at the bigger picture. In technical trading, that translates into trading more significant timeframes, like the daily chart and above. Do yourself a favour and open a daily chart. Next, zoom out to see as many candlesticks possible and then look for technical patterns. Finally, you’ll see the technical picture, but no trace of what the economic news was during the entire year. Imagine that during a twelve-month period, there are multiple Fed meetings, ECB press conferences, twelve NFP’s, and so on, things many of traders consider crucial when trading. Well, using a bigger timeframes approach, the “noise” gets filtered, the consensus avoided (you don’t have a bias whether the NFP misses or not the expectations on any given day) and keep an objective opinion over the market. The truth of the matter is that trading psychology is the ingredient that leads to successful trading. Posts like this one can tell you what to do to master the mind and beat the market. But can’t tell you how and if you can actually make it. It is all up to the trader, the efforts and work willing to put to achieve the task. It is like going to the gym if you wish. Everyone knows that regular exercising helps keep body fit. Yet, few can do it, despite knowing what the recipe to success is. The right trading mindset is the winning one. Try to think out of the box both when it comes to monetary policy and technical analysis. Don’t be afraid to challenge the consensus. It is the only way to find new strategies and ideas that may lead to something valuable. To sum up, think of the currency market as an entity that is constantly changing its shape. With so many inputs and growing in diversity every day, the only way to beat it is to get to know yourself better. Today’s trading is different than ten years ago, and ten years from now will be different from what trading is today. Do you mind if I ask In your case , what was the outcome when you did the opposite of what you were normally going to do? Also have you written an article about Central banks and understanding how they think and act ?